You lack clarity, a solid strategy and a proven blueprint so you’re missing clients and cash flow in your business. 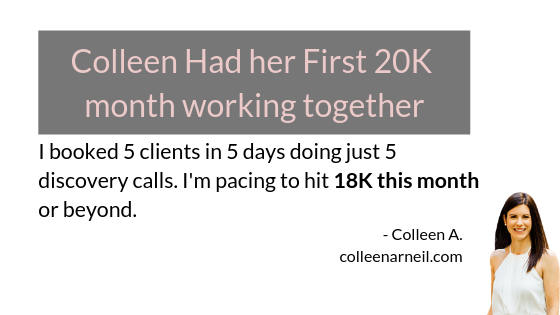 I show women coaches how to implement strategic content inside an automated sales process so you can work smart, attract clients and get paid to do what you’re good at. Coaches work with me when they’re tired of doing “all the things” and getting no results and just need the step by step blueprint to packaging and selling their brilliance. Ready to work with me? Go Below and Book your Discovery Conversation. If you do not see a time that works for you send me an email kelita@kelitakellman.com .